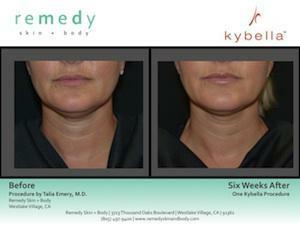 Kybella is an injectable product that is placed directly into the submental fat pocket. 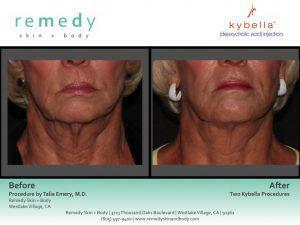 It starts to dissolve the fat cells immediately, resulting in a slimmer chin and tightening of the surrounding tissue. Though treatments are customized for each patient, most people will enjoy visible results after one to two treatments, and full results are seen with an average of four treatment sessions. 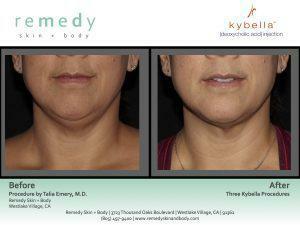 There is minimal to no downtime, side effects or discomfort with Kybella and the results are long-lasting. Talia Emery, M.D. 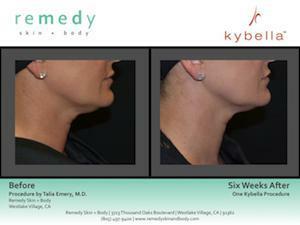 and her team of medical professionals were among the first in the country to perform the Kybella treatment. 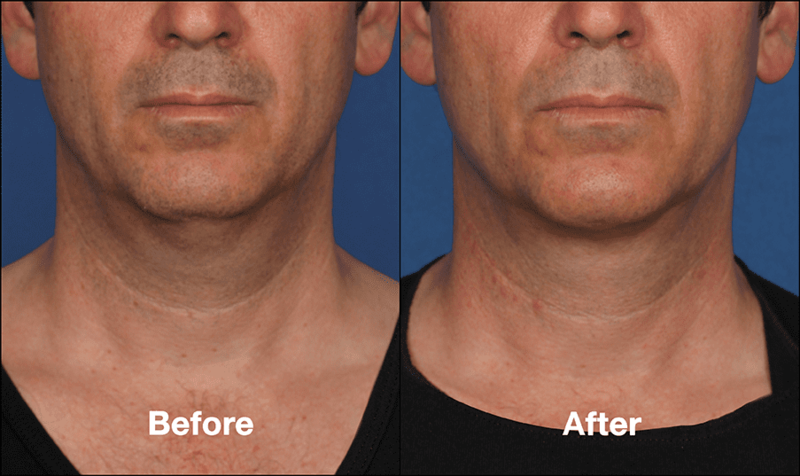 Submental fullness due to submental fat, sometimes referred to as ”double chin,” is a common, yet undertreated facial aesthetic condition. It can detract from an otherwise balanced and harmonious facial appearance leading to an older and heavier look. Submental fullness can impact a broad range of adults, and is not limited to people who are overweight. This condition can impact men or women of average weight and can be caused by aging, genetics and weight gain. It is often resistant to diet and exercise alone. 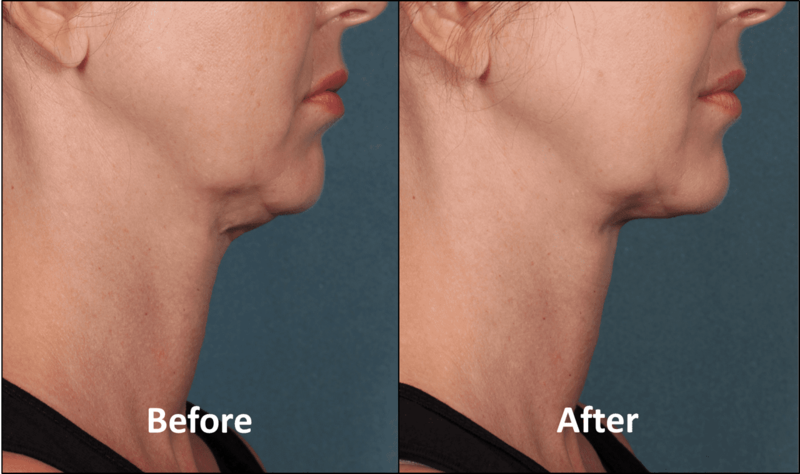 Kybella is a formulation of deoxycholic acid, a naturally-occurring molecule in the body that aids in the breakdown and absorption of dietary fat. 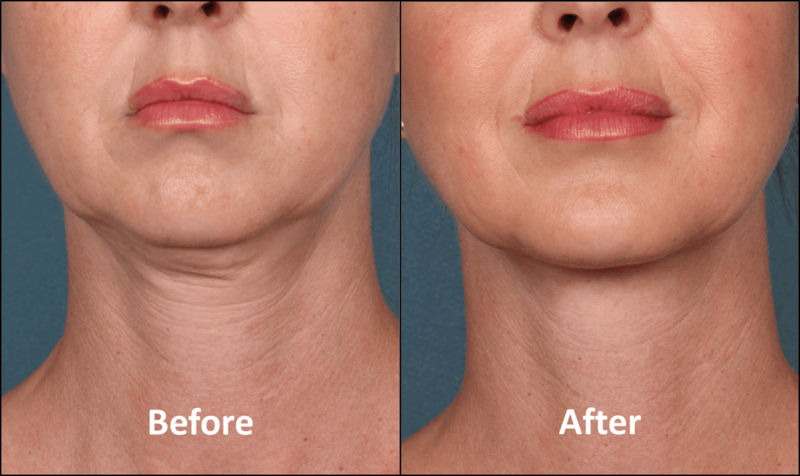 Kybella is administered by injections into the fat under the chin. 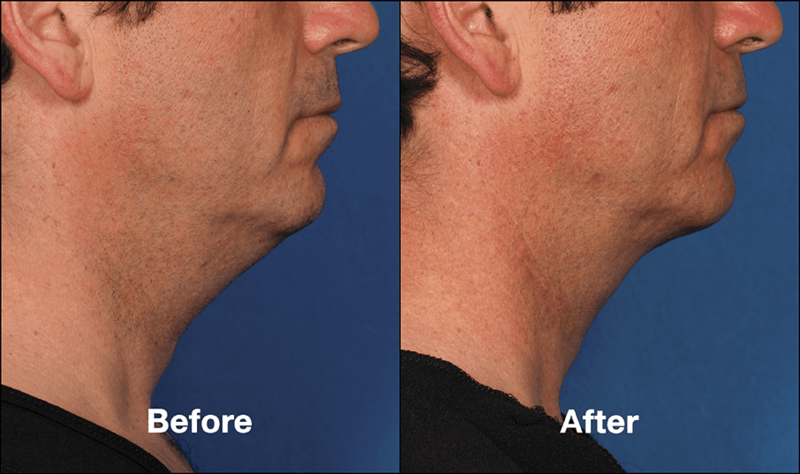 The safety profile of Kybella is well characterized. Side effects may include swelling, bruising, pain, numbness, redness or formation of small areas of firmness.